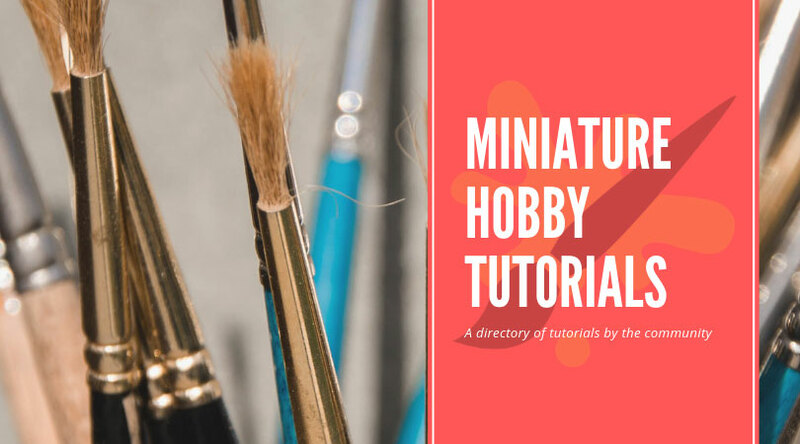 So, I’ve started a new site called Miniature Hobby Tutorials, and it’s just what the name implies – a site full of hobby tutorials. The concept is simple, it’s a directory of tutorials submitted by the community. Now, these type of sites exist already, however, I felt I could do it better, and I don’t mean to sound egotistical with that statement either. The problem with many of them is they aren’t built with SEO (search engine optimization) in mind. For Miniature Hobby Tutorials, that’s exactly what I’ve done, created a site that’s built for search engines. That means your tutorial is more likely to be found, and in turn provide you with more readers. My other goal was to create something that’s more responsive to getting your tutorials posted quickly. The setup I’m using allows me to publish your tutorial in a matter of minutes, assuming I’m available at the time anyway. You don’t have to wait days, weeks, or months to see yout tutorial get listed; it’s often done within the hour – if not sooner. I felt this was something the hobby community needed, a faster, easy to use, search engine friendly, with a fast turn-around tutorial site. I hope you check out the tutorials and share your own tutorials over there and help me spread the word. I’d love to see Miniature Hobby Tutorials become the largest directory of hobby tutorials there is. Also, if you have suggestions and ideas for the site then I would absolutely love to hear them. The goal of the site is to serve you, the community. Proving to be very handy already as a resource. Cheers.